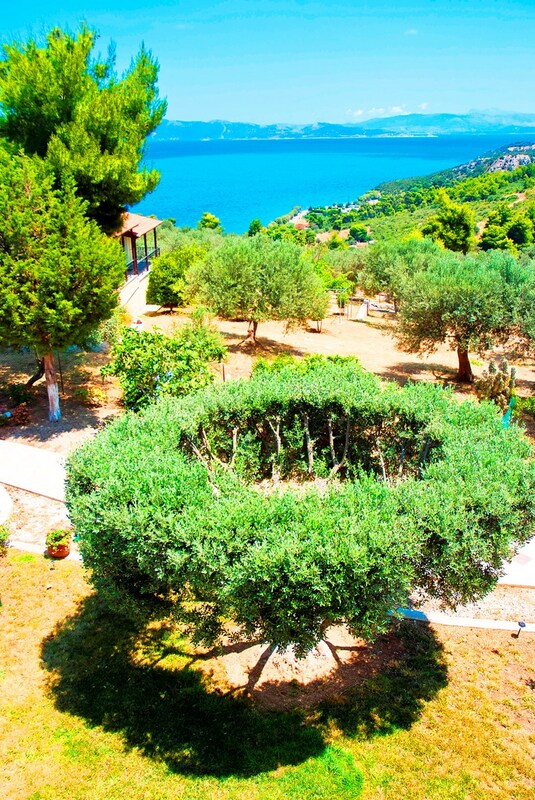 Villa Agnanti is an 4 Keys ( fantastic private villa with large private pool and consists of 11 bedrooms, all fully equipped with air conditioning,seaview balconies,fridges,televisions 21,bathrooms,DVD and MP3 players,safety deposit boxes,hairdryers and hair irons.Located 5 minutes from the clean water Sesi beach. 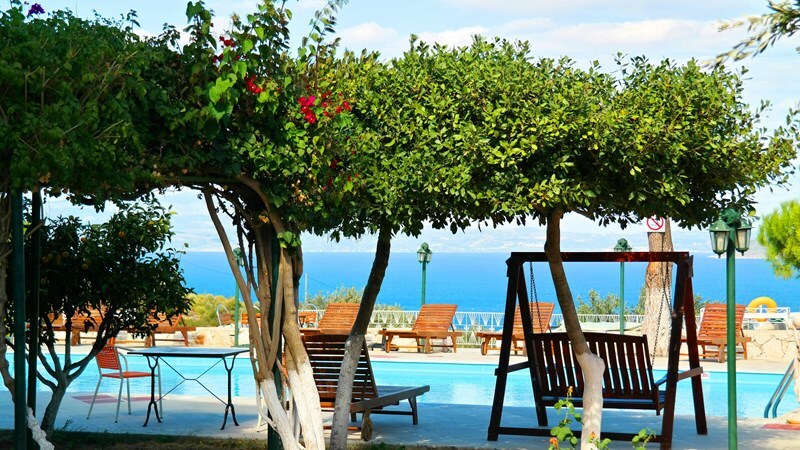 The pool is large (over 100 square meters) , with shaded areas-pergolas)and wooden sunbeds,in order to offer pleasure and comfort to the guests. 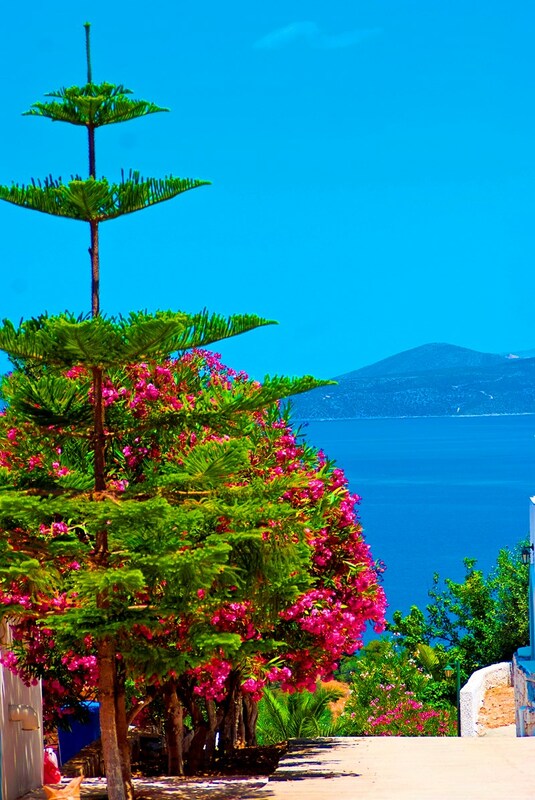 From the villa you can visit Athens in less than an hour drive. 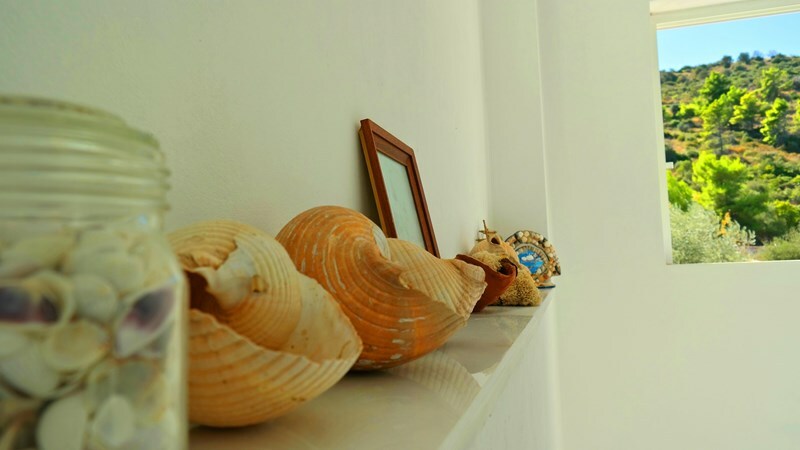 The area is beautiful, picturesque and quite, and all rooms have panoramic view of the sea and the forest. 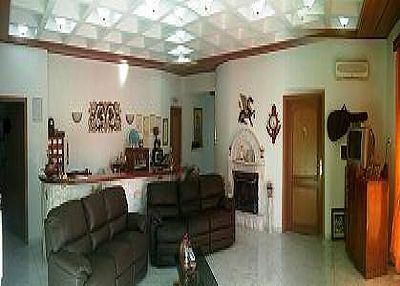 The Ideal villa for groups of up to 20 persons to spend the ideal relaxing holidays in this traditional seaside village. 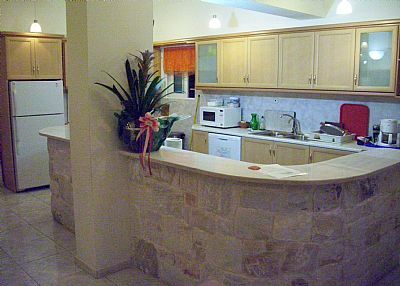 All rooms are private, ensuite, with 4 stars facilties. 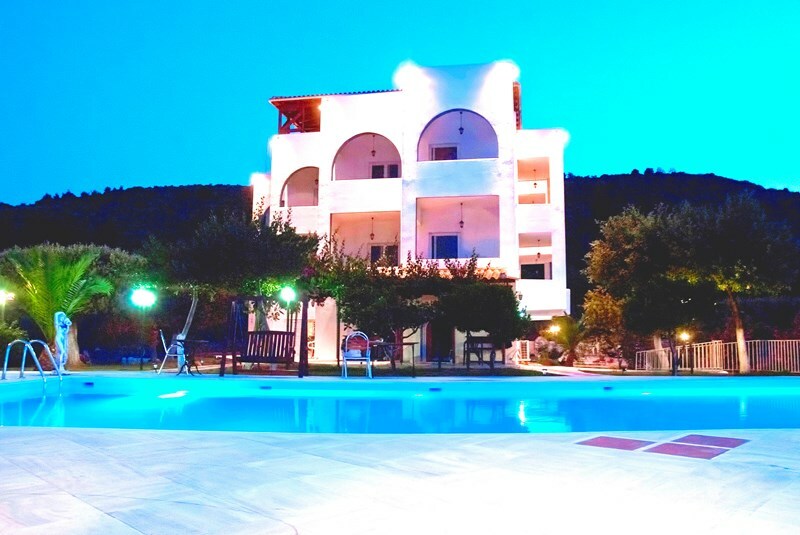 It is self catering although meals and breakfast are possible on request, either in the villas poolside private dining area or the indoor dinning room, or the local tavernas and restaurants by the seaside. 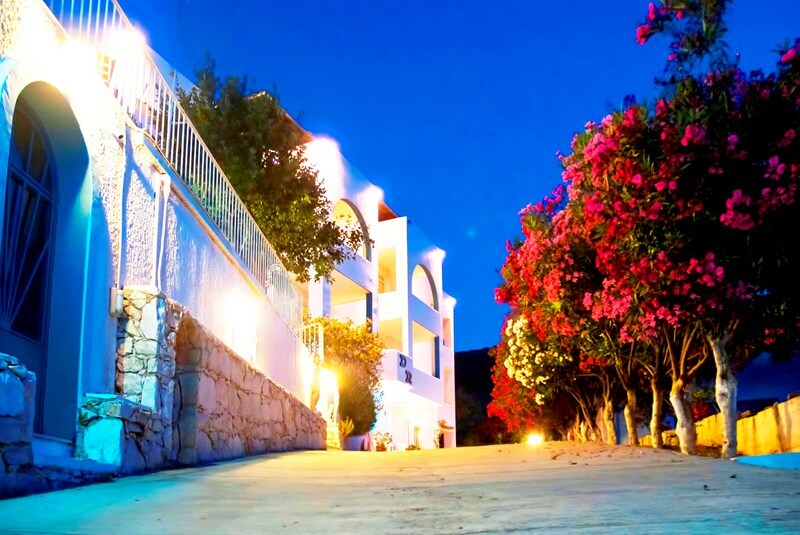 Complimentary services:The villa is attended by staff for customer service, cooking, maid service for cleaning and change of linen,bathroom towels,pool towels,maintaining the villa,the rooms, the pool, and gardens.Information and arrangements for Sightseeing and excursions are offered to the guests any time during the stay . For the children there are games and a children playground. 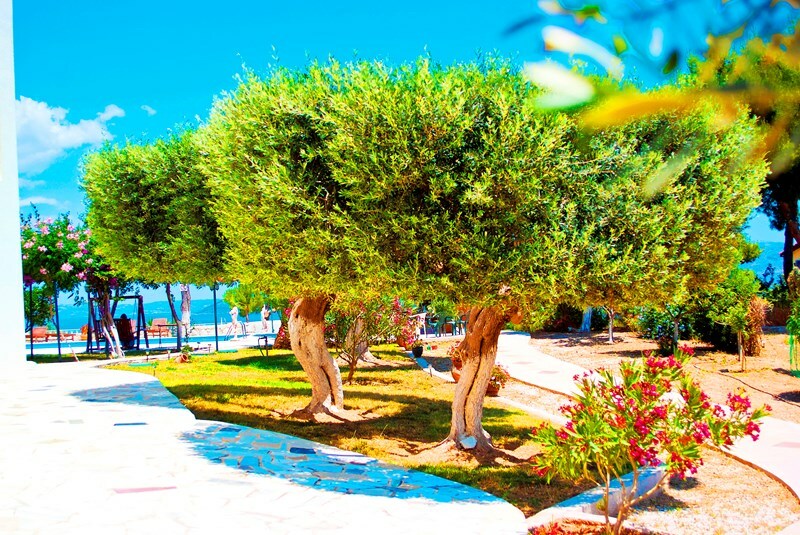 The gardens are constantly maintained, and include pine trees,palm trees,olive trees,along other mediteranean plants grown in the area.There are several terraces in the landscape for relaxation with sea view and quiteness. 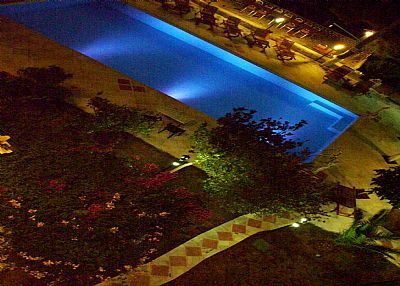 Around the pool area you select the music of your preference, wooden sunbeds and umbrellas, garden furniture under large pergolas. 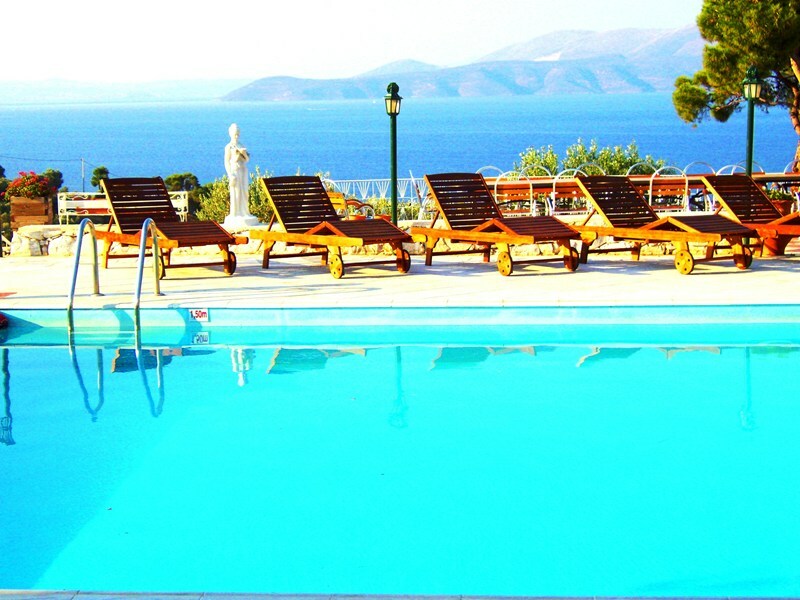 The pool area is also suitable for dining, and the pool bar is for the private use of our guests , same like all facilities of the property.Please note, in the high season,the barbeque is used subject to weather conditions, for self catering purposes, but anytime only for prearranged meals, due to law and insurance restrictions.Although in case of windy days, we offer electric barbeque unit for self catering use by our guests. 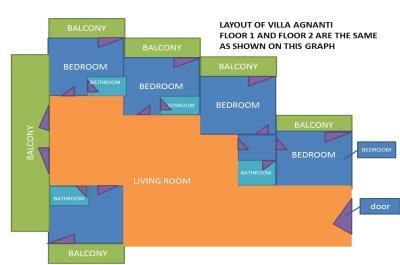 The villa agnanti offers facilities for business groups, and also services to cover the business group needs. 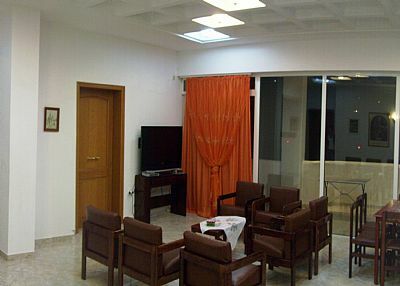 -Top floor is all available for meetings and conferences. - educational daily excursions to Athens and many points of Interest, like Delphi, Acropolis, Ramnus ancient city, Athens museum, Evia island, Marathon tomb, Marathon olympic games stadium and others. -All meals that the group requires. We charge per meal , snack or drinks, and we can offer a full serviced buffet. - Sight and sound equipment in the conference room, and pool area. - fast wifi in all area, with high speed professional routers. 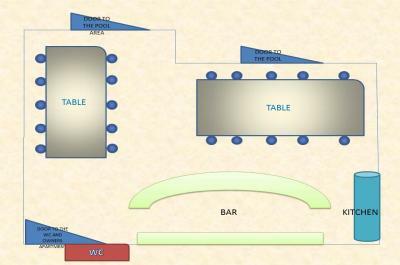 - eating out, group arrangements in local restaurants, or bars. 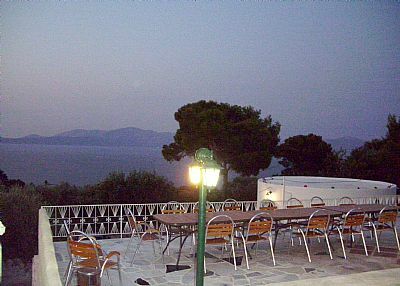 - visiting lake of Marathon and arrangement for team building in the lake side venue. 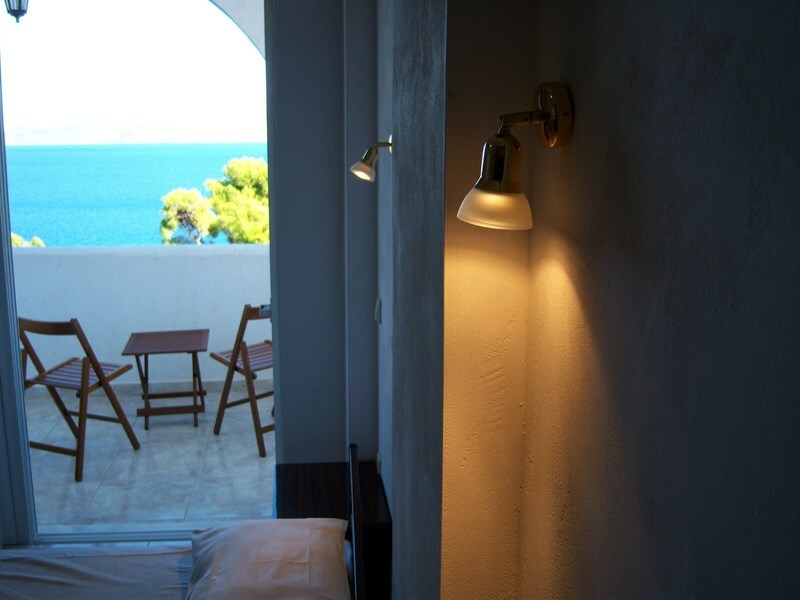 Villa Agnanti is located in a picturesque location near to Athens, although very relaxing and quite. 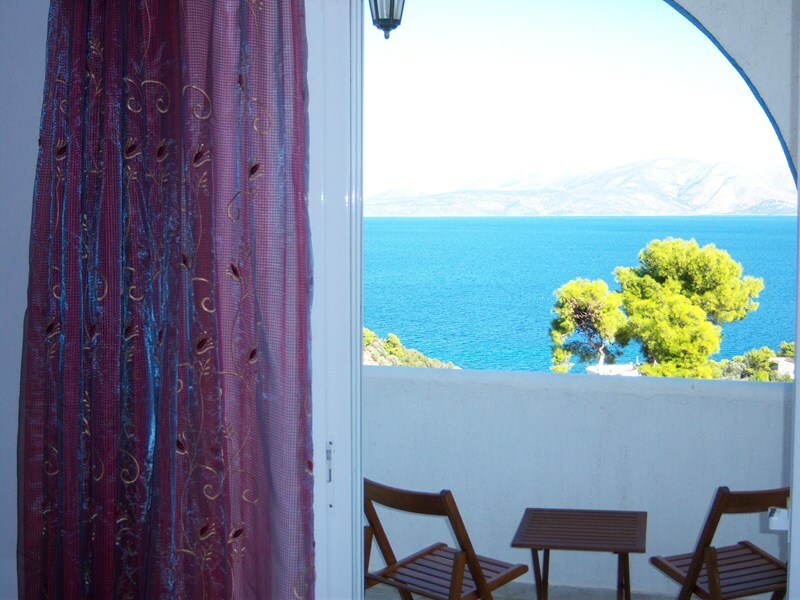 Close to the beach and with view of the sea (notios evoikos) and also view of the beautiful island of Evia. 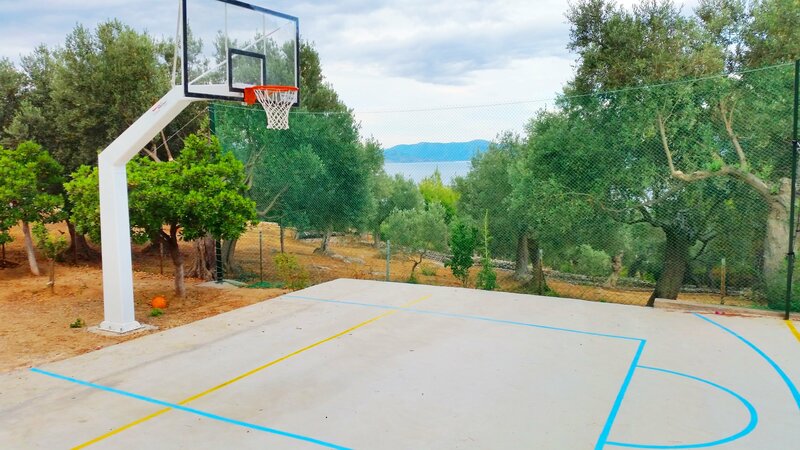 The villa is ideal for those who love nature and want to relax. Although within 20 minutes you will be able to find night clubs, bars and restaurant for a more active holidays taste. 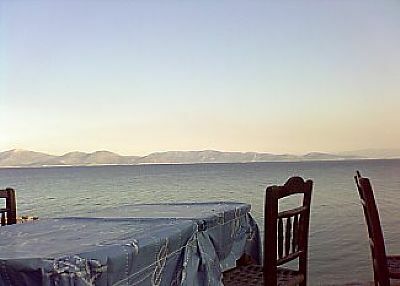 The area offers two fish Tavernas on the beach with traditional Greek food and wine. 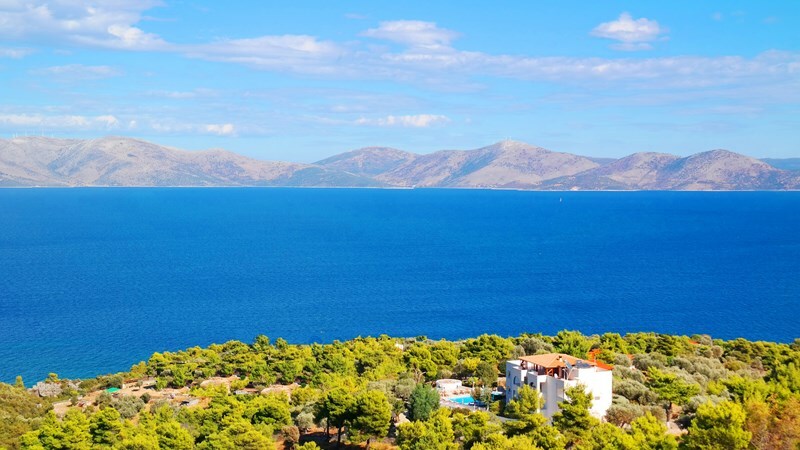 However, prior arrangement for their own transportation is required as the next transportation station to Athens and Marathon is 8 kilometers away at the local village of Grammatiko. 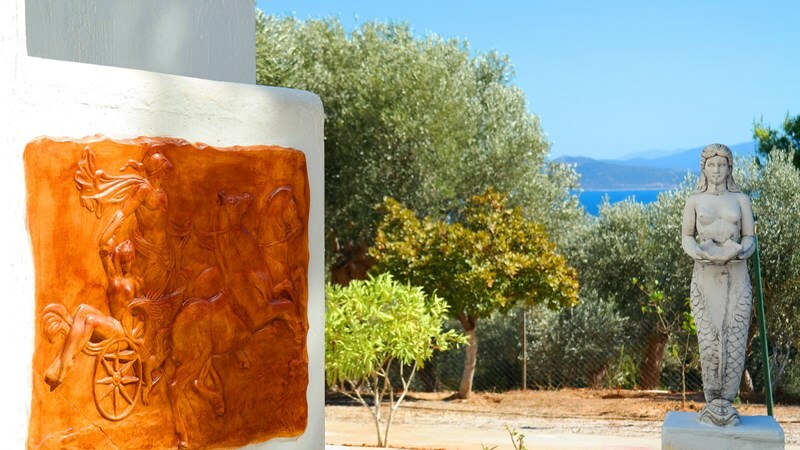 Villa Agnanti is located 17 kilometers away from the Olympic Rowing Center of Schinias, 16 kilometers from the Historic Tomb of Marathon and 15 kilometers from the starting line of the Athens Marathon. 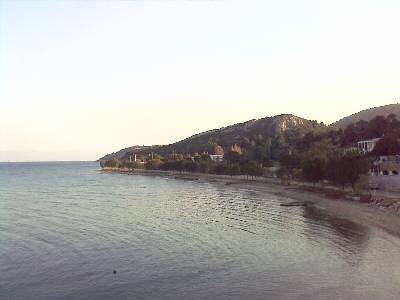 The ancient site of Ramnous is 12 km away from Marathon which was built next to two temples. 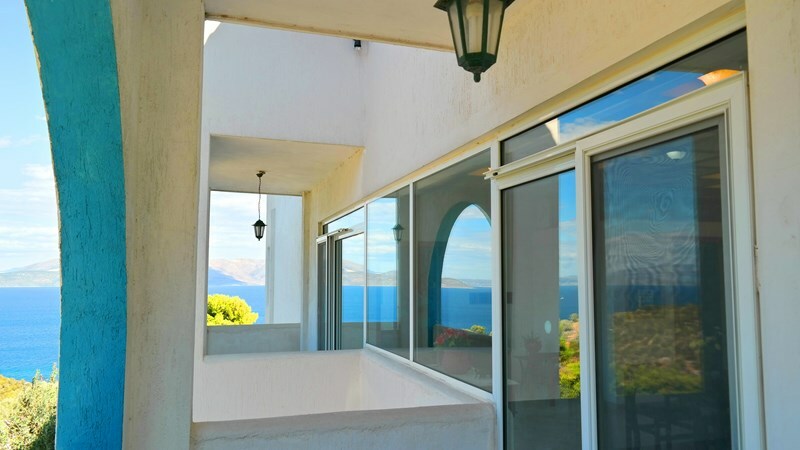 What to Visit during your holiday in Villa Agnanti: 1)The Island of Evoia is within a 2 hours drive(there is a bridge connecting the island with mainland Greece, or 1 hour drive and 1 hour ferry. 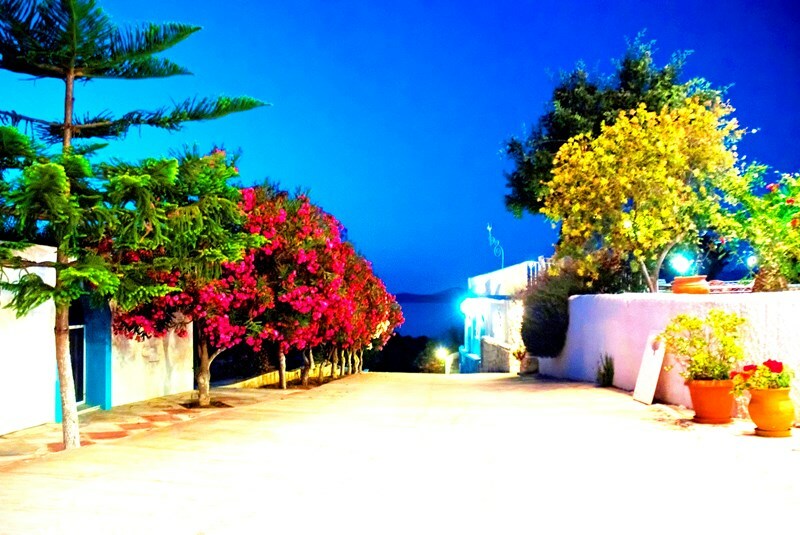 In Evoia there are beautiful beaches and nice tavernas and bars to visit. 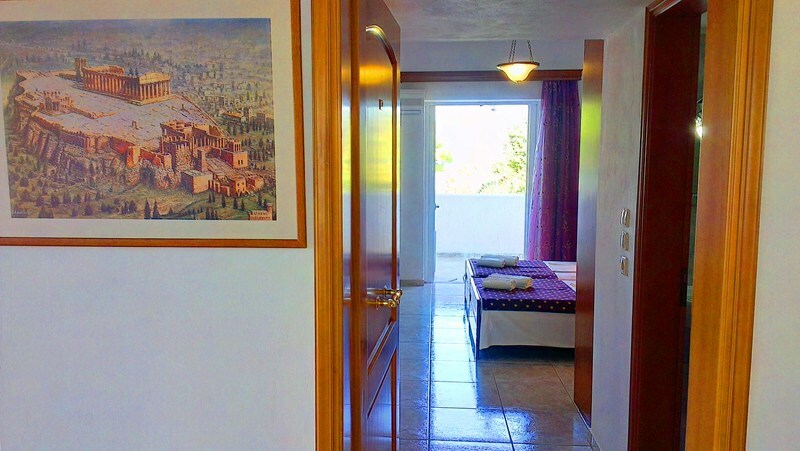 2)Athens and Acropolis: Within an hour drive the guest can reach the center of the Greek Capital. 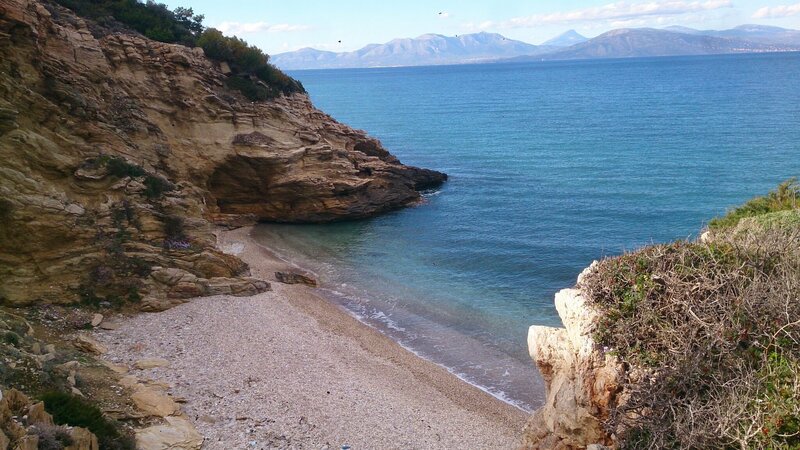 3)Nea Makri and marathon in 30 minutes drive: Ancient sites, beach bars, bars and clubs, restaurants, museums, shopping centers, banks, Internet cafes. 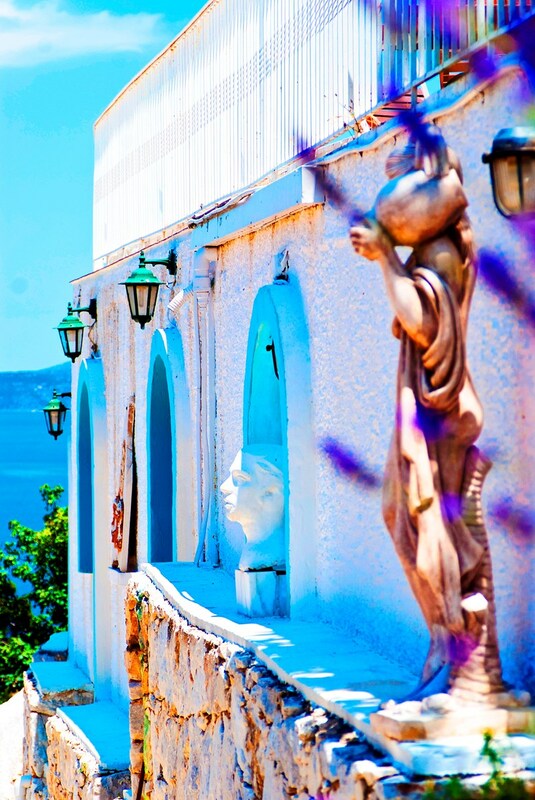 4)Greek islands for day trips: within 45 minutes drive the guests can reach the port of Rafina. From Rafina there are ferries to many Greek islands as Mikonos(4 hours), Paros(4 hours), Tinos. Also there are speed ferry boats that can take you to main Greek islands within 2 hours. 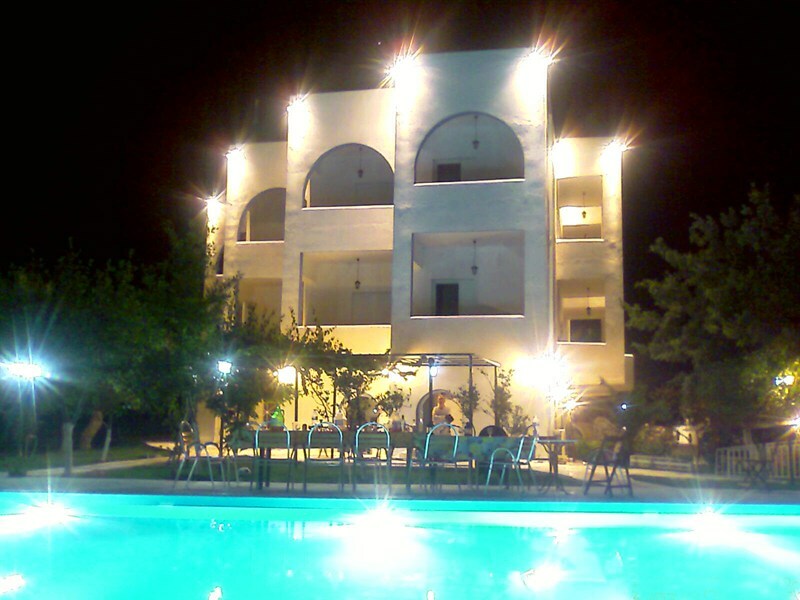 5) Corinthos are within 2 hours drive from the Villa. 6)Olympia is a nice visit for day trip. 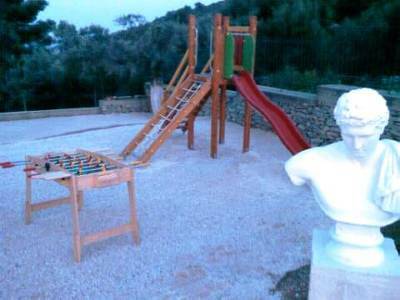 The guests can visit the ancient sites of Ancient Olympia. 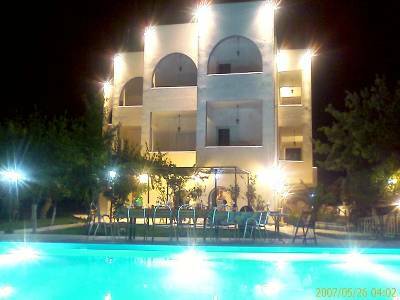 7)Peloponese is within 2 hours drive from the Villa. It is possible to arrange your wedding at the Villa Agnanti. 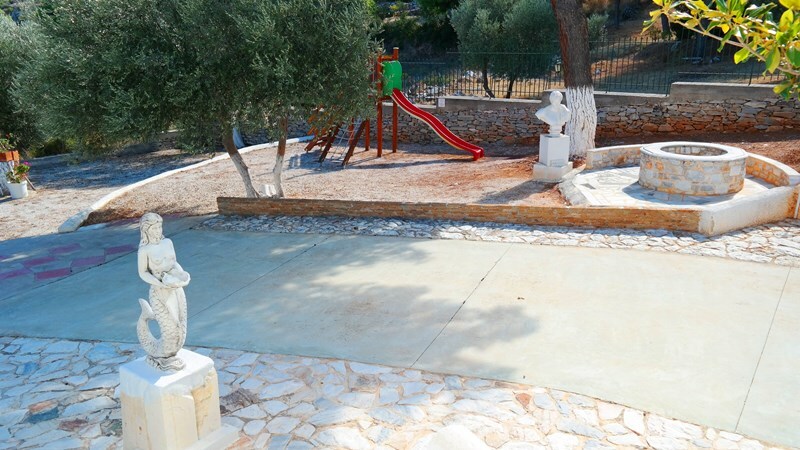 The pool area and the landscape of the Villa is large enough to accommodate the ceremony . Also there is a small church on the Sesi Beach, 5 minutes from the Villa. 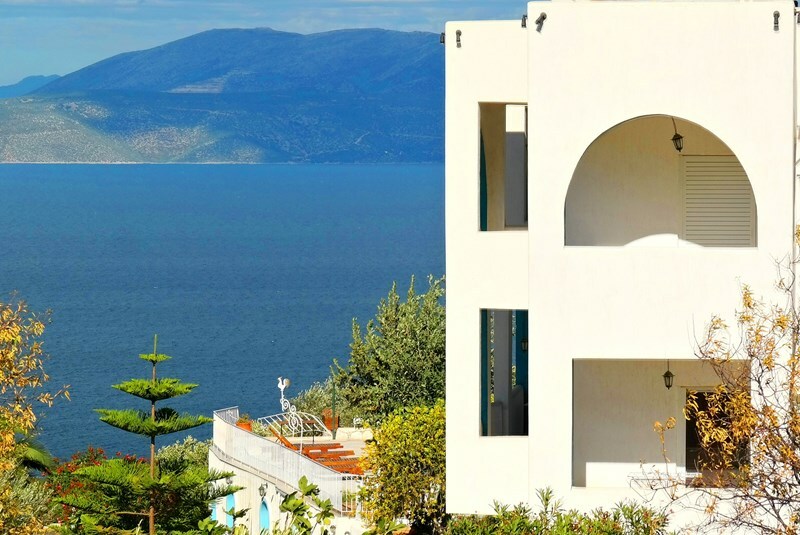 We really enjoyed our stay at spacious and peaceful Villa Agnanti with its stunning views across to the island of Evoia. The lovely couple who run the villa - Ireni and Dimitri could not have been more hospitable and helpful. You do need transport though to get around and the drive up and down to the local towns of Grammatico (with its lovely bakery) and Marathon for the food shopping (at My Supermarket) is somewhat tricky but once you get used to it its ok! We also made use of the very nice football pitch at the small stadium in Grammatico. 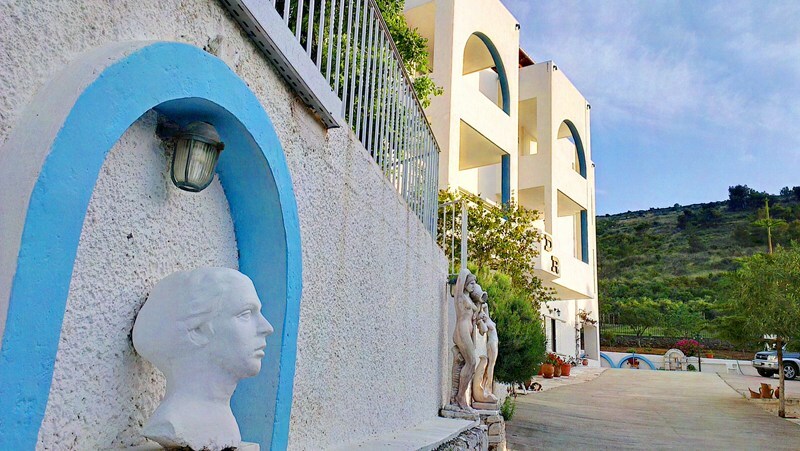 The Villa is well placed to reach Athens for the sightseeing and local attractions such as the Marathon Museum and Marathon Lake. 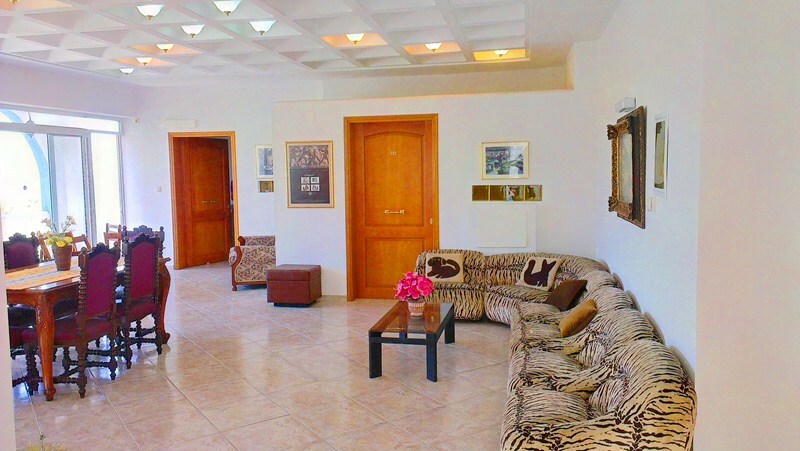 The facilities at the villa are ok (the villa was build in 2004 for the Olympic Games influx) but the bathrooms could have been a little larger and could do with an upgrade! What an absolutely stunning place! 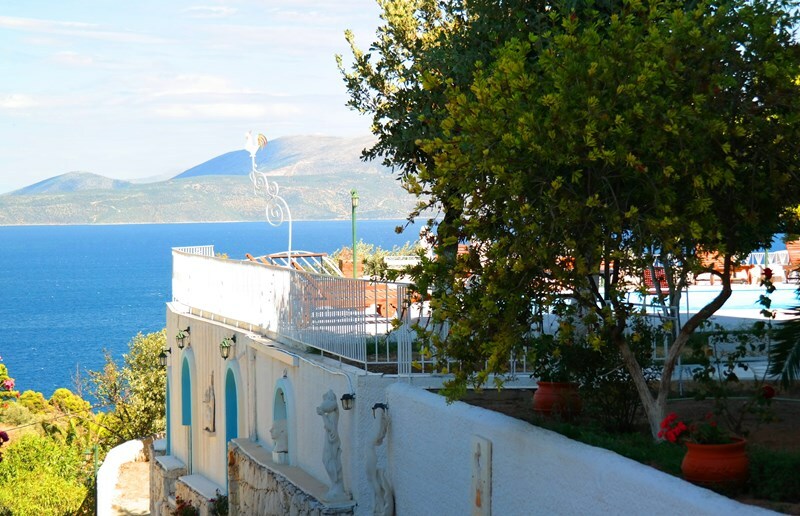 Coming from Athens, you drive up through the village of Grammatiko, follow the winding roads up to the summit of the mountain and there beneath you is the most amazing panorama - the azure blue sea and the mountainous island of Evvia. 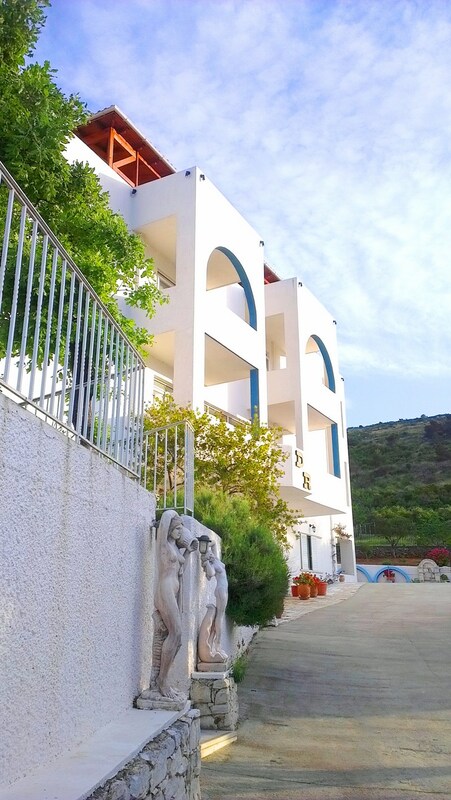 Eventually you reach the beach, pass a couple of local tavernas, then arrive at the beautiful villa Agnanti to the warmest of welcomes from Irene. 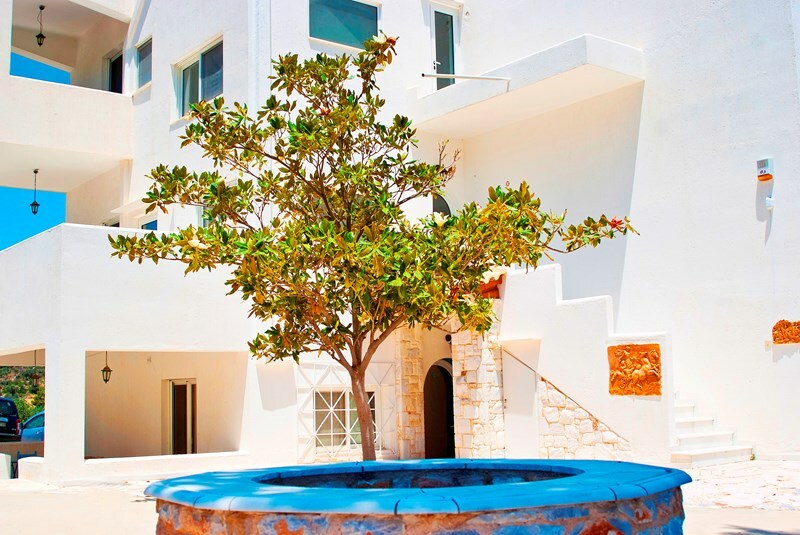 We were group of 24 and the villa just perfect for a wonderful birthday celebration with friends and family. Everyone simply loved it. 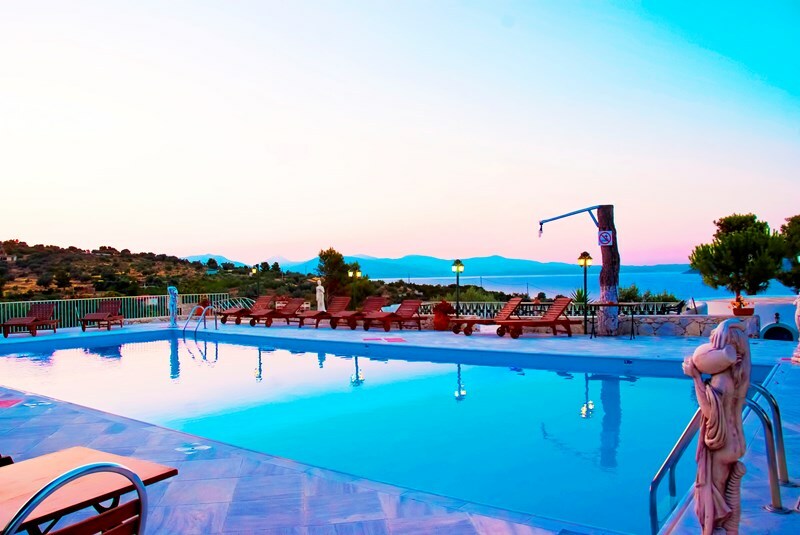 Part of the charm is that it feels a million miles away from civilisation, but is only an hours drive to Athens. Relaxing by the huge pool was a real treat and the view from the terrace was to die for. Irene cooked a fantastic meal for my birthday celebration and all throughout the stay, together with husband Dimitri, son George and helper, Andrea, could not have done more to make our stay more enjoyable. It would be hard to find any negatives about this beautiful place, I hope one day we can return! Dear Graham, Thank you for your comments, and we also had a fantastic time with you in the villa. My parents and staff loved your group, and every single person was lovely. Thank you for giving us the chance to offer our best efforts for an original Greek hospility and we are looking forward to having you back any time in the future.Dont forget that you have a family now in Greece, and any help you need anytime for holidays in the villa or the Greek islands or anything else you might need from Greece, please do not hesitate to contact me and i will be there for you. 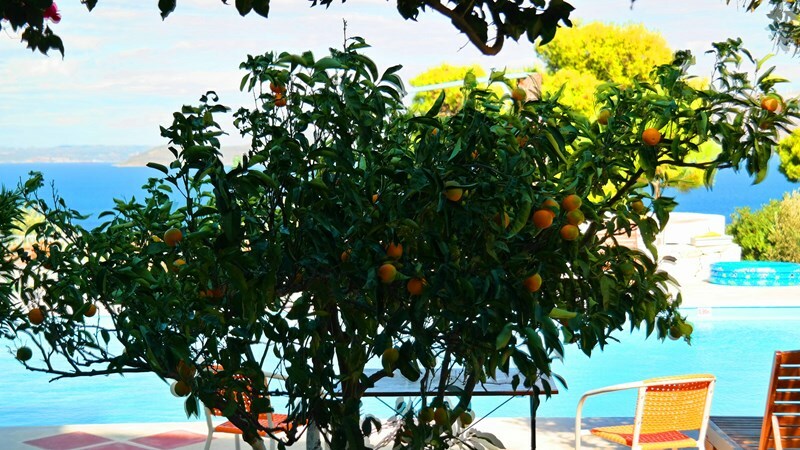 Irini and Dimitri could not have been more gracious hosts at Villa Agnanti. 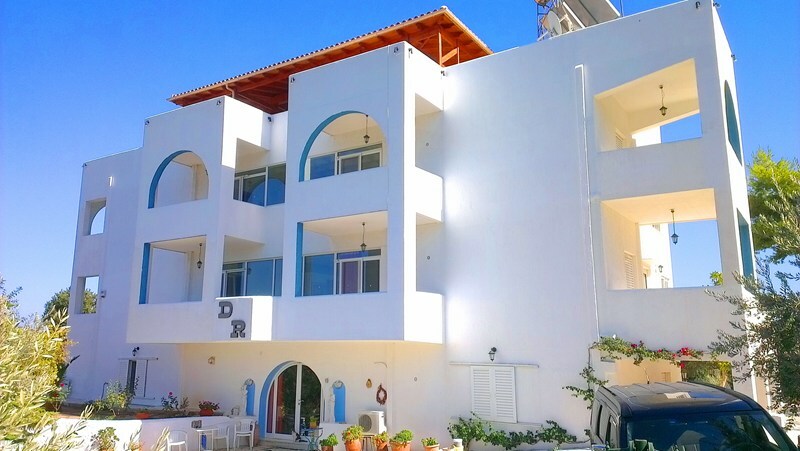 Their lovely, air-conditioned villa (which doubles as a B&B) easily accommodated all 16 members of our extended family (sisters, their husbands, and lots of cousins) with rooms to spare. 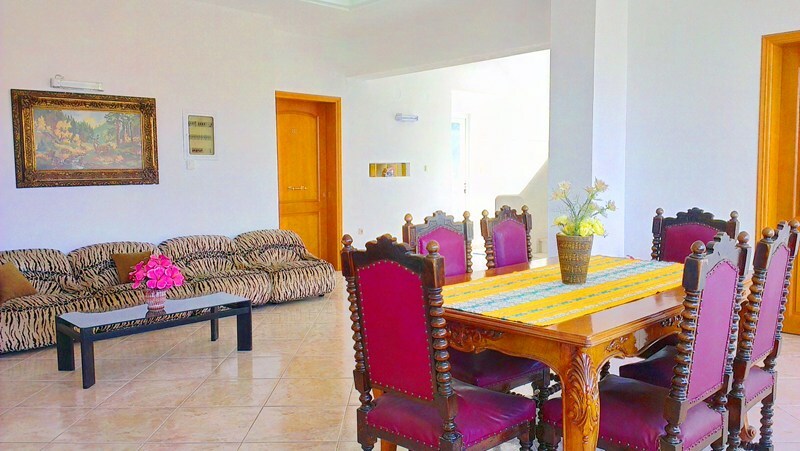 The immaculately-kept villa is comfortable and also designed for outdoor living with a gorgeous pool surrounded by outdoor dining and socializing areas. 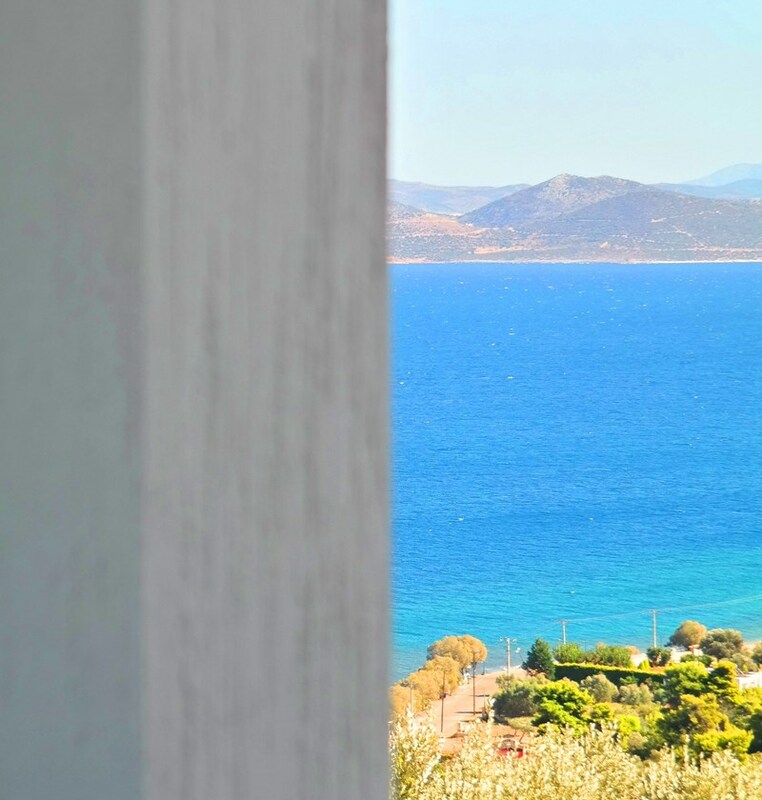 The view from almost all the bedrooms is absolutely magnificent in the mornings, as the sun rises over the island of Evia. 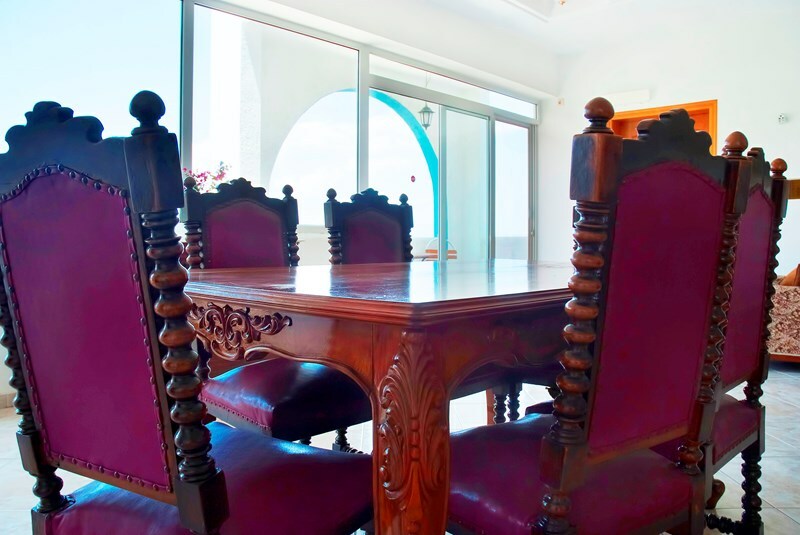 Meals can be arranged, although we used the villa as a self-catering home, with one exception. 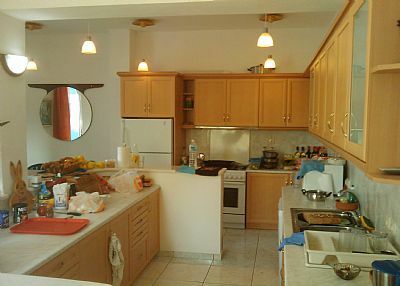 We took advantage of their offer of an authentic Greek dinner prepared by the live-in staff. 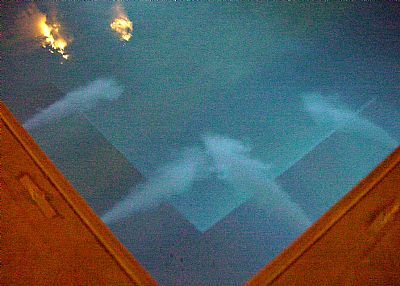 They served us a fine Greek meal as we sat poolside in the light of the setting sun – a magnificent evening to start our holiday. 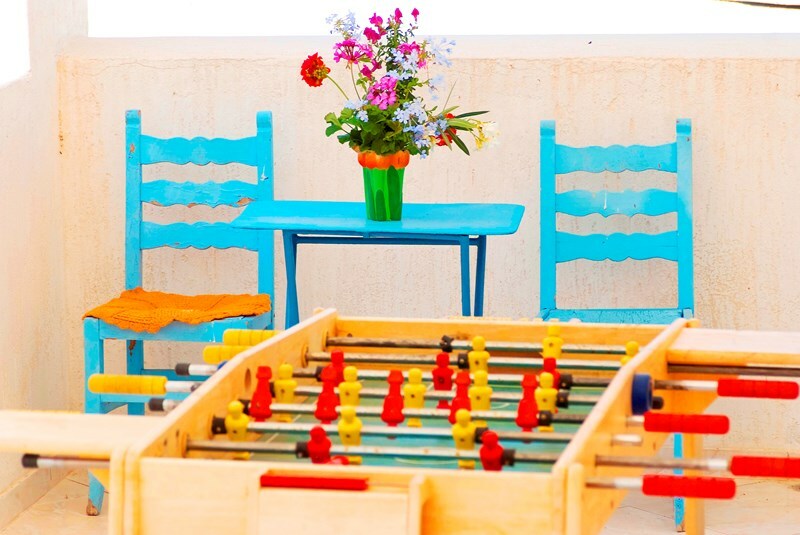 The staff can also take care of laundry, which came back scented with fresh lavender from their gardens. 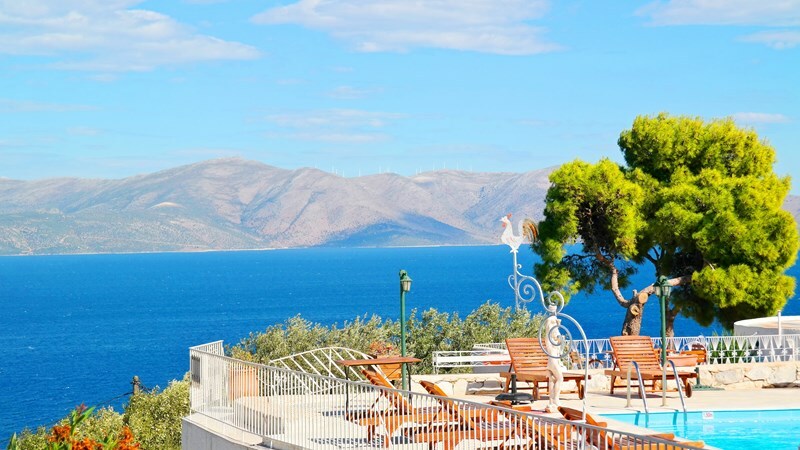 The villa is located about an hour northeast of Athens, and although we took day trips to Athens, Delphi, Mycenae and Epidavrous, there are many historic sites and antiquities closer than that. 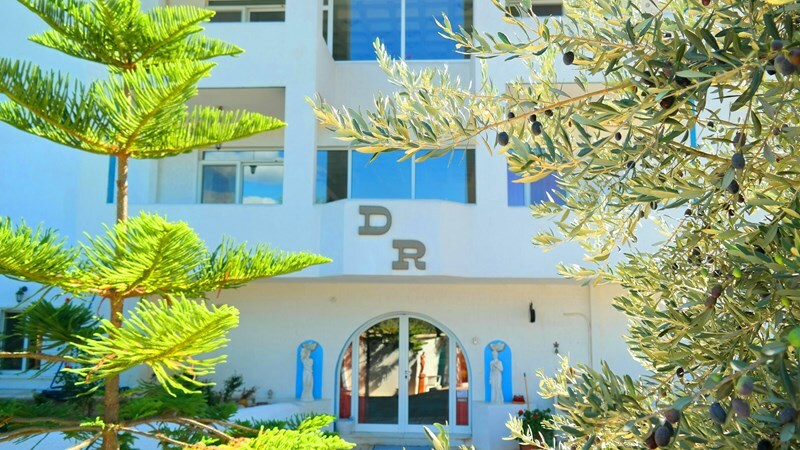 Finally, Irini was indispensable whether it was negotiating with car rental companies, providing directions, or getting in touch with doctors and pharmacies. 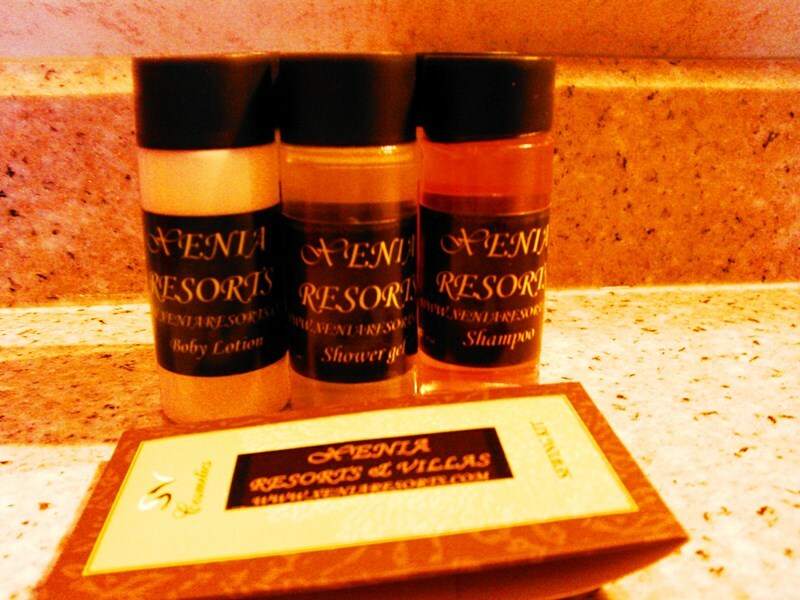 She and Dimitri and the rest of the staff could not have been more helpful and accommodating. 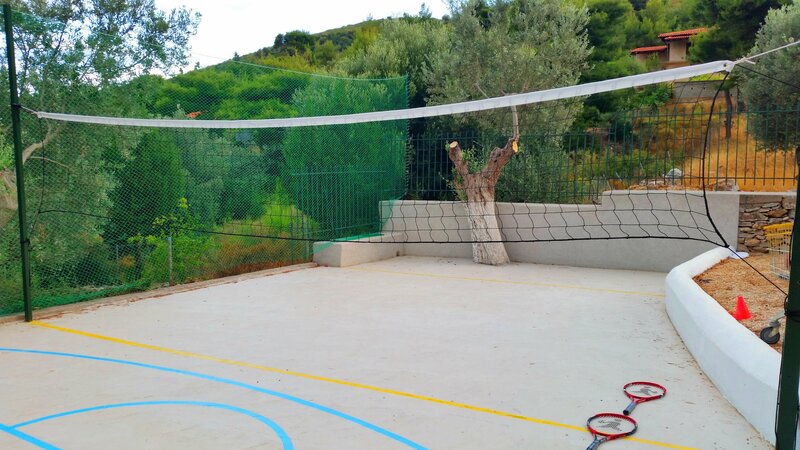 We had a great week and would strongly recommend a holiday at Villa Agnanti. As a family we rent holiday homes quite often. Usually our expectations are less than published on the web and as long as it is within the range of 10 - 20% less - we are happy. Villa Agnanti was a real surprise - it was by far more than expected - The location, the house, the pool and all that is around it was great! 3 generations of our family enjoyed very much - well done Irene and Dimitrie. 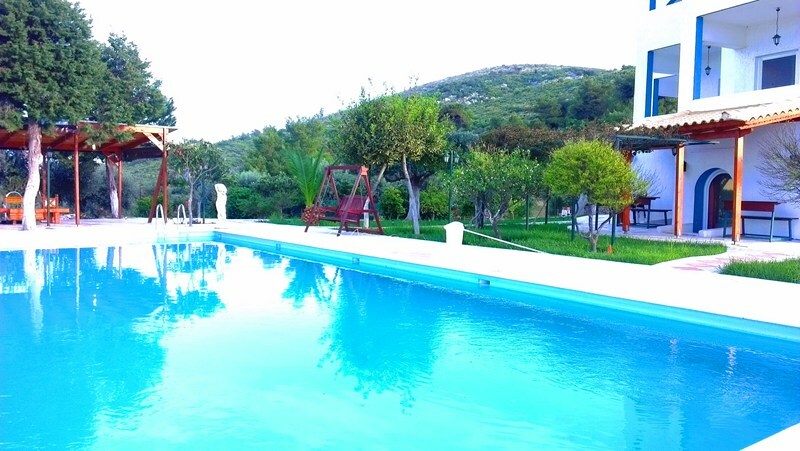 We came to villa Agnanti a saturday in the end of september, and got the warmest welcoming of Irini and Dimitri. 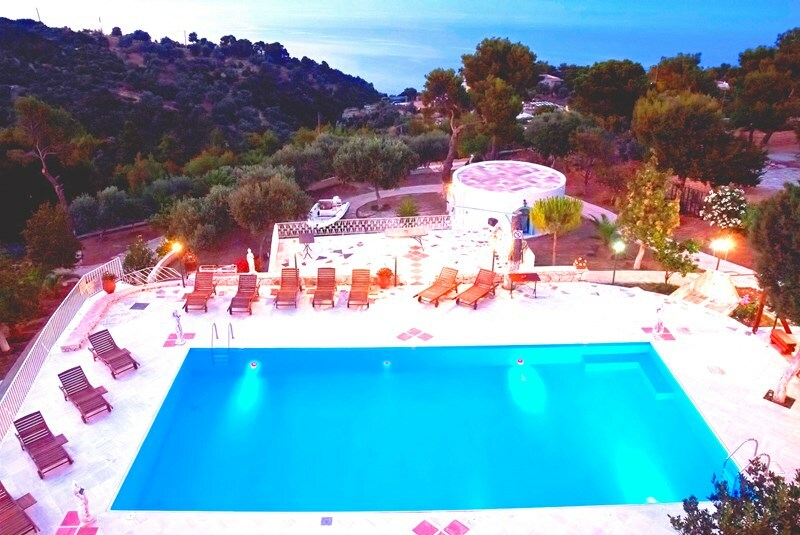 I can recommend villa Agnanti at the warmest. The Villa Agnanti is a magical place. Irene, George and Aurora were quick to help and met our every request with a cheerful smile. They also worked efficiently in the background to make our stay most wonderful. 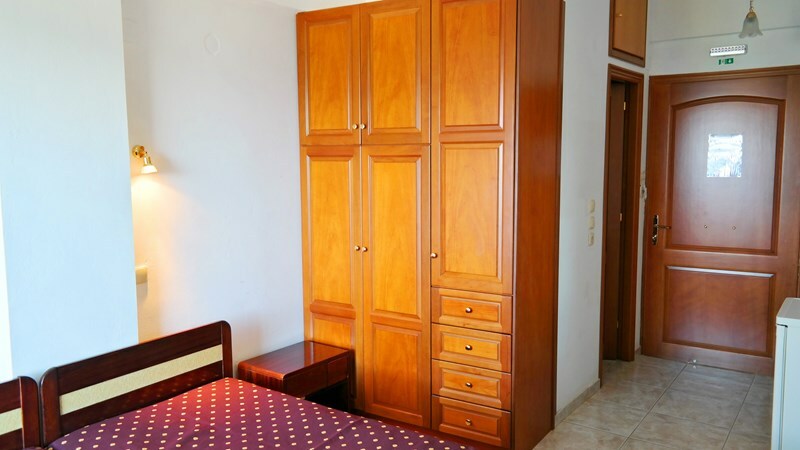 From the pool to the meals to the cleanliness of the rooms you will not be disappointed. 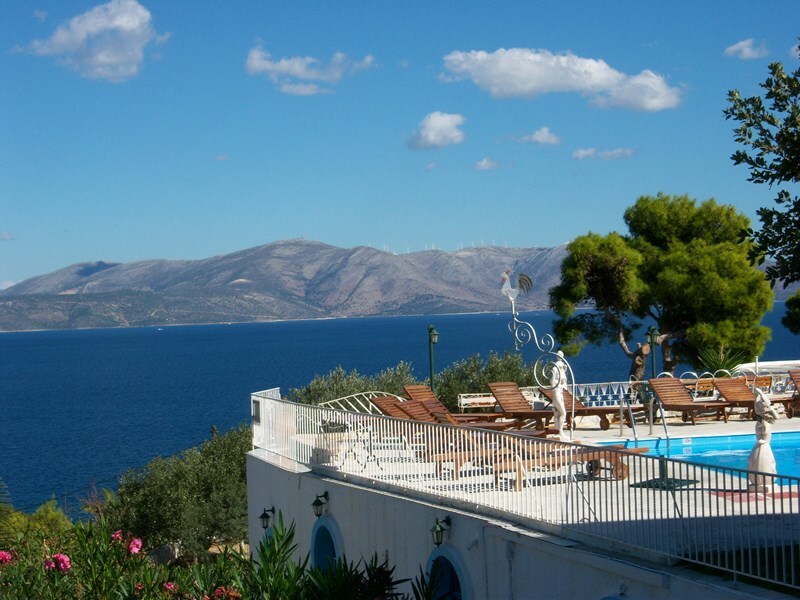 This is a terrific place to visit and the Villa met or exceeded our every expectation. 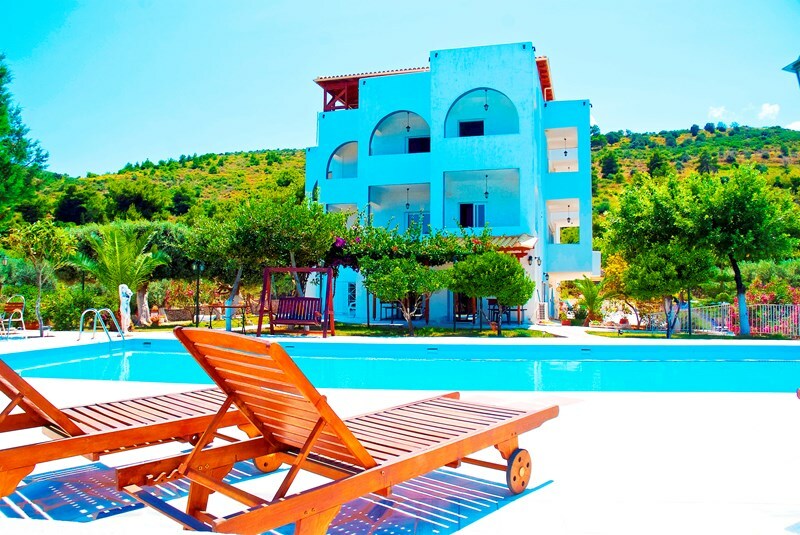 Our 18 guests are still raving about our time in Sesi Beach!!! Thank you so much for making our visit to Greece one that we will treasure for many years to come. 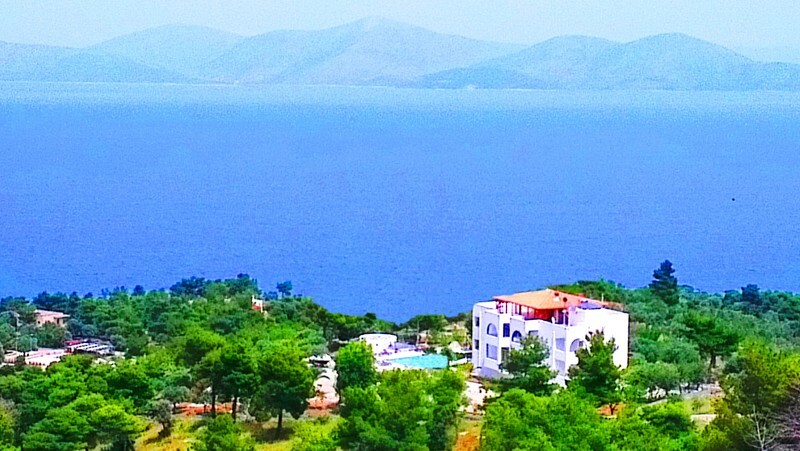 A group of 10 of us rented the entire villa for 10 days at the end of June and had a wonderful time. 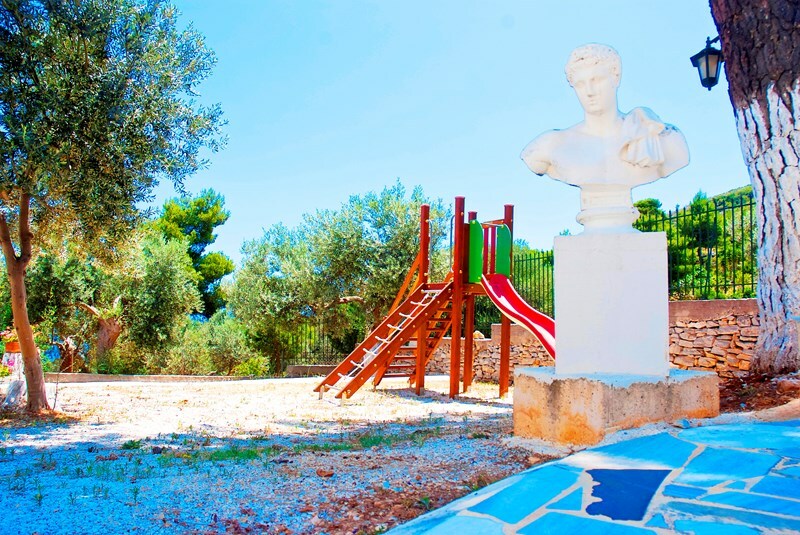 The villa has been purpose built to provide holiday accommodation, so don't expect luxury, but everything you could need is available. Mr & Mrs Papadopoulos, who live on the ground floor of the villa, made us feel completely at home and did everything they could to make our stay as enjoyable as possible - organising taxis, cooking wonderful dinners, treating sunstroke and insect bites and even making hairdressers appointments. 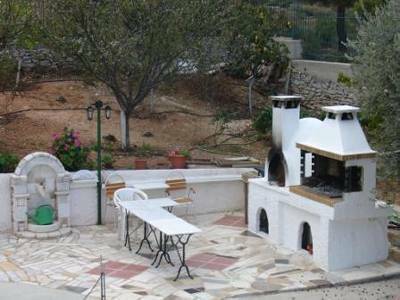 There are 2 small tavernas in Sesi (the one closest to the villa is excellent) and a pizza place at the far end of the beach. 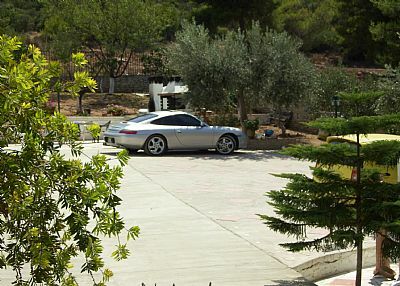 You will need a car if staying here as nowhere in Sesi to buy any supplies and no bus service. Nearest village is Grammatiko, but very little there. Supermarket in Marathonas provided all supplies we needed and there are plenty of cash machines there as well - takes about 25 minutes to get there. If you want to go into Athens, it takes about an hour - best option is to go by taxi as buses are infrequent. 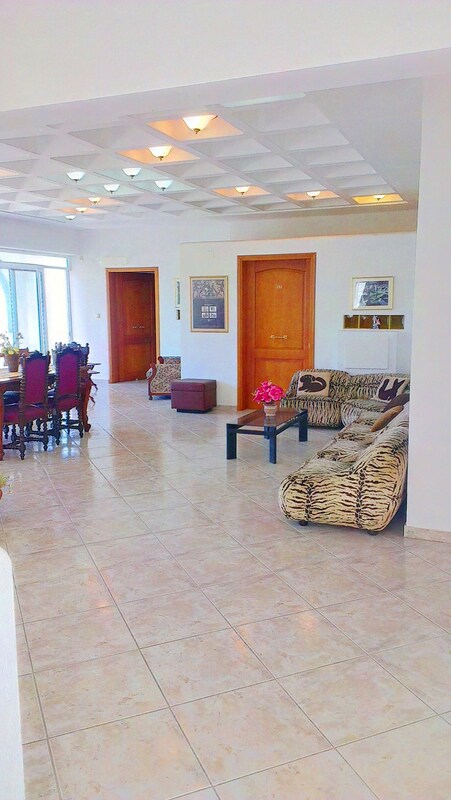 This villa is perfect for groups of friends or families or even weddings. 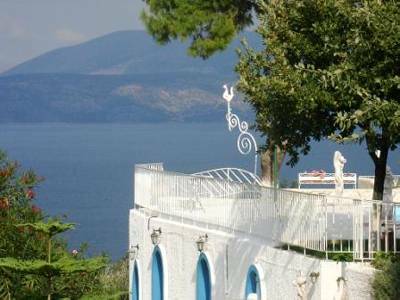 We saw a small very traditional Greek church on the beach, which was not described in the site, and we thought of getting married again, just to live this myth in Greece.Agnanti is a luxurious property and its facilities exceeded our expectations. George, his parents and the staff were always there to assist with anything we would ask, and nothing was a problem for them any time during the day or the night. 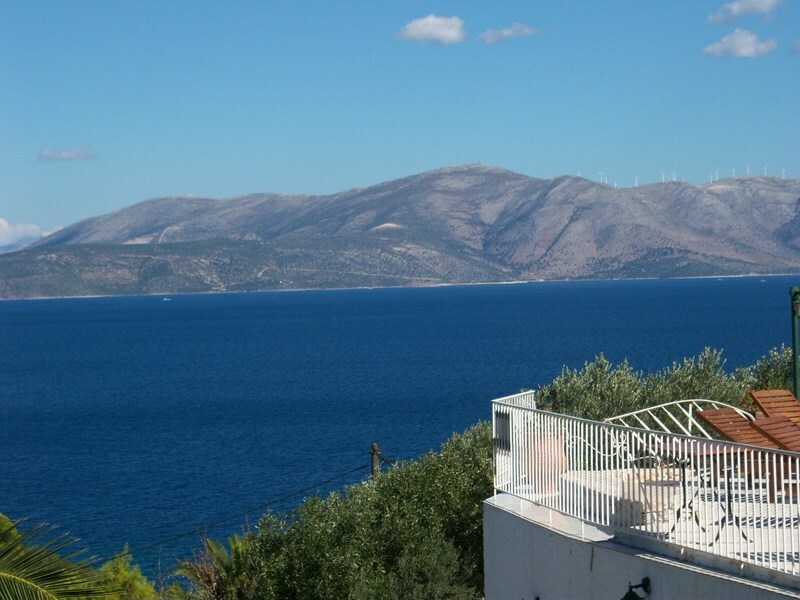 The positive points are, the location(sea and sun with beauiful surroundings, the villa, the weather, and our visits to Athens city.John-Andrea and our friends. 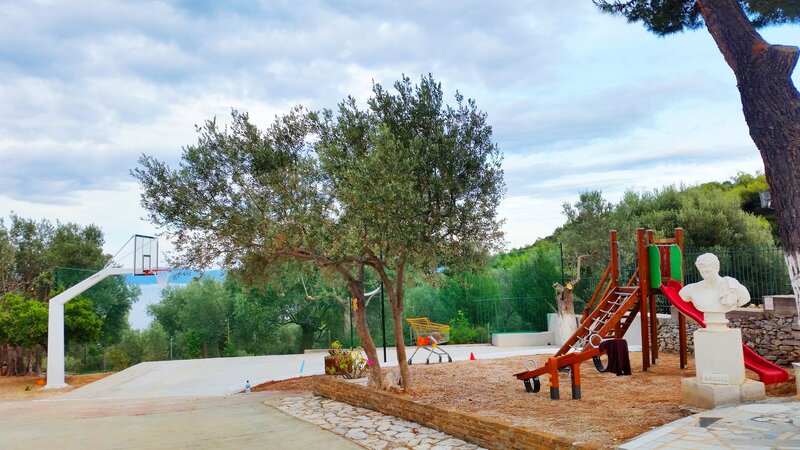 villa agnanti is a located in a very relaxing rustic location. 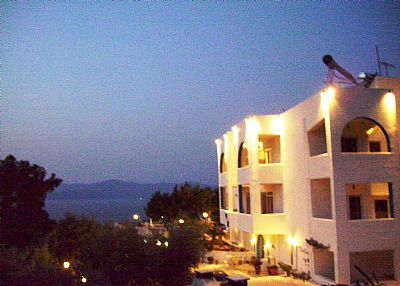 we enjoyed our stay because we combined our holidays by the sea and also the Athens sightseeing. Car is essential because we drove our the villages and also we visited Athens and marathon several times.The owner couple are very friendly and they cook local specialities for us at no charge.We also had meals at the beach tavernas,where the food and the prices were extremely good.We will return next year to stay there for a month, to relax and enjoy greek food,fruits and the sea.Thank you George for your help in all matters and we are looking forward returning next year. Children Playground,Board Games, Books, CD Player, Childrens Toys, DVD Library, DVD Player, Stereo, TV, Video Library Outdoor Private Swimming Pool,jacuzzi,Balconies, Barbeque corner, Parking, Garden, Garden Furniture, Parking, Sunbeds, sea viewTerraces, 6000 sq.m of gardens. 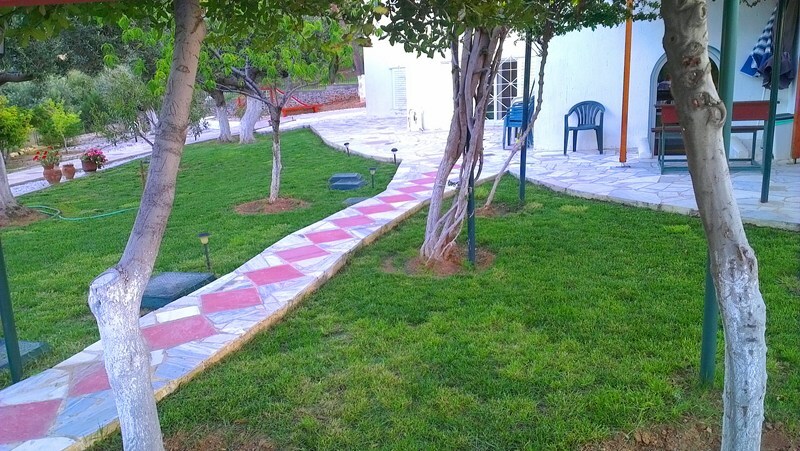 Pathways for strolls Sport and Leisure Swimming Pool,Bird Watching, Climbing, Cycling, Fishing, Walking, night life in 20 minutes drive. 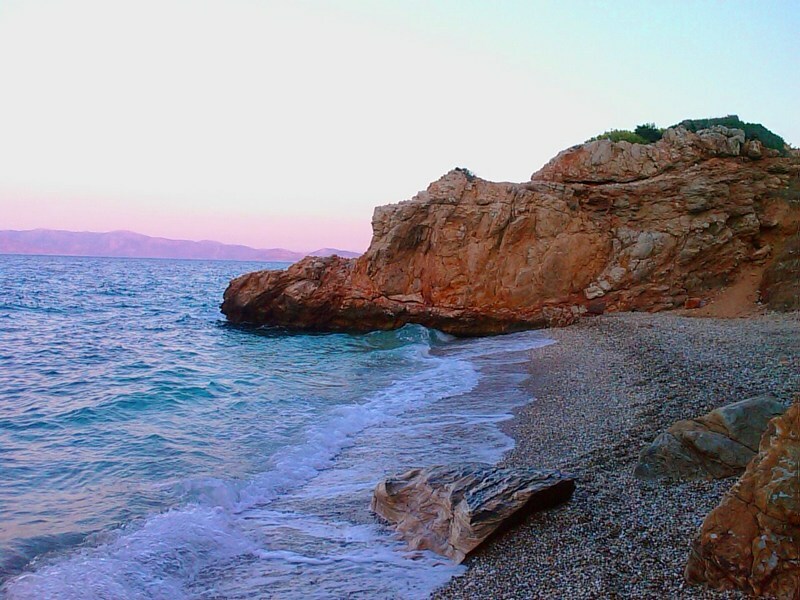 quite beaches close to the villa Suitability for those who want to relax and enjoy Sea-sun-nature-sightseeing-Athens visits Location Type Near the Beach, Ideal hideaway, Near the sea, Quiet, Romantic,relaxing .Close to Athens city, and near to ancient cities and sightseeing sites.